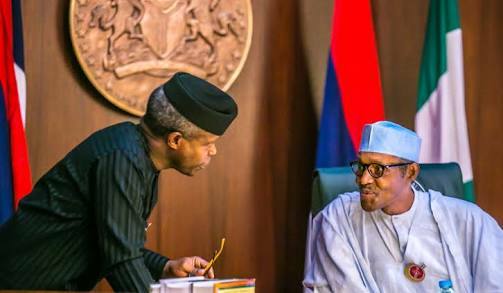 The Reformed All Progressives Congress (R-APC) on Friday again hit at the ruling party, the All Progressives Congress, saying its government lacked coordination. The National Publicity Secretary of the RAPC, Mr. Kassim Afegbua, who cited the issue of restructuring as an example, said President Muhammadu Buhari and Vice-President Yemi Osinbajo held different opinions on the subject, even though the APC promised it to Nigerians before the 2015 elections. Afegbua said the APC was not the party its founding fathers envisaged when they came together in 2014. He said, “As we speak, the APC has jettisoned its own manifesto. Where is the restructuring we promised Nigerians? They hurriedly came up with a committee headed by Governor (Nasir) el-Rufai; where has that landed us? “The Vice-President is a supporter of restructuring. The President of the country is not a supporter of restructuring in the same government. There is no synergy. There is no coordination on any issue. “You have about three or four opinions from the same government; that is not the way to lead. Reacting to Oshiomhole’s claims that the R-APC members were mercenaries hired to destabilise the APC, Afegbua said they were genuine members of the party interested in retrieving the party from usurpers. Afegbua, said, “Adams Oshiomhole needs to take a look at our past. We do not possess the characteristics of hirelings or mercenaries. “We are bona fide members of the APC. When it is convenient for people, they dress you in very elegant robes but when they are losing the battle, they call you names, but we will not call them names, we will continue to insist that we are going to rescue the APC and reposition it for optimum performance.